The Employee Benefits & ERISA (Employee Retirement Income Security Act of 1974, as amended) Litigation Group advises employers, plan sponsors, third-party administrators, financial institutions, health organizations, trade organizations and ERISA plan fiduciaries in a wide range of benefits-related controversies from routine claim disputes to federal agency investigations. On a selective basis we will represent executives and other employees. Our Benefits litigators handle disputes arising from the provision of employee benefits, including: breach of fiduciary duty claims; denial of health, disability and life insurance claims; and claims for retirement benefits. 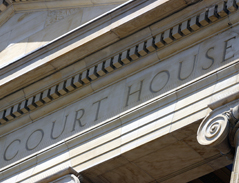 The firm’s lawyers also have experience concerning controversies stemming from the preemption, prudence and prohibited transaction provisions of ERISA. The Group also draws on the experience of the firm’s Employee Benefits & Pension lawyers to assist clients in disputes involving pension plan termination or reduction claims, pension plan design and computation claims and severance plan claims.